In the run-up up to this month’s mid-term elections, healthcare appears to be just one of many burning political issues that will be influencing Americans’ votes. But delve into nearly any issue—the economy, the environment, immigration, civil rights, gun control—and you’ll find circumstances and events influencing human health, often resulting in profound physical, emotional and financial distress. Evidence suggests that separating immigrant children from their families could cause lasting emotional trauma. Gun violence and adverse weather events destroy lives and property, and create hazardous living conditions. Structural racism has been linked to health inequities, for instance where housing discrimination leads to segregation of black buyers and renters in neighborhoods with poor living conditions. The list goes on, and through every such experience, affected individuals, their loved ones, and their communities learn implicitly what healthcare providers have long known: that health status depends on much more than access to, or quality of, healthcare. Health status depends on much more than access to, or quality of, healthcare. 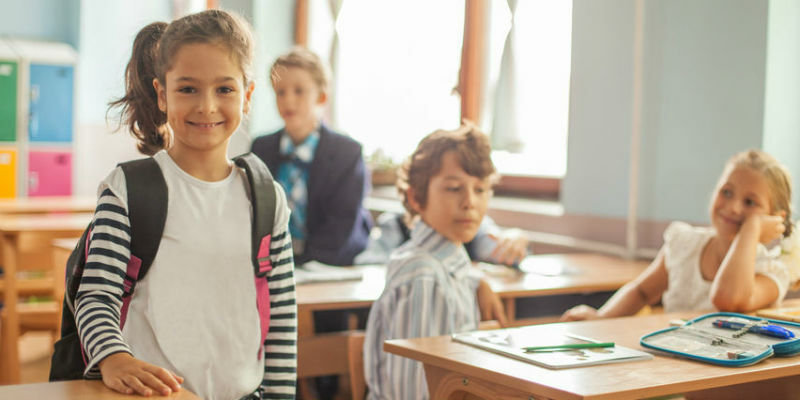 Some of the most influential factors are called social determinants of health, and they include education, immigration status, access to safe drinking water, and others. Society and industry must collaborate to address them if we are to reduce the extraordinary human and economic costs of poor health in our nation. Fortunately, many providers have embraced the challenge, and are tackling it in myriad, innovative ways. Hundreds of providers across the country, like Yale New Haven Health, are helping patients who lack reliable, affordable transportation to stay on top of their health by offering free rides to the doctor’s office via ride-sharing services Uber and Lyft. Geisinger Health’s fresh food pharmacies help patients living in food deserts eat nutritiously, and thus head off or better manage chronic diseases like diabetes. Hospitals are paying to house homeless people, given evidence that stable housing helps reduce the need for acute medical care. An increasing number of providers (perhaps with an eye on the U.K.’s social prescribing movement) are also forging processes and partnerships to connect patients with assistance for a variety of health-related social needs. Such innovative initiatives represent an encouraging trend. However their positive impact and sustainability depend upon further, rigorous study of their objectives, design and results. Their success also ultimately depends upon the type of business model supporting them. 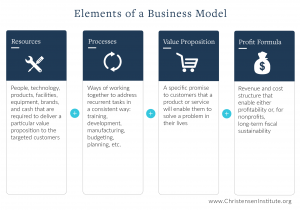 A business model encompasses an organization’s resources, processes, profit formula and value proposition; and depending on how these elements are designed, they can constrain or enable innovation toward a particular end. Evolution in the realm of provider payments illustrates how one such element of an organization’s business model—profit formula—affects innovation, depending on its design. Most providers in the U.S. have historically been, and continue to be, paid a fee for each medical service they provide, usually by insurers. Because this payment method rewards pure volume of care, it creates the perverse incentive to deliver unnecessary care. It also constrains innovation, because it deprives providers from reimbursement for services that aren’t on an insurer’s approved services list, no matter how beneficial they may be to patients. Undoubtedly, many providers deliver unreimbursed services anyway from time to time. But care delivery organizations can’t run on compassion alone. By contrast, “value-based” payment methods, which are gaining traction across the industry, are designed to reward providers for quality and cost-effectiveness of care, rather than pure volume. They take various forms, ranging from service fees with a bonus attached for care quality, to a fixed or “capitated” fee for all the care an individual needs over a specific period of time (usually a year). Payment models toward the latter end of that range facilitate innovation because they aren’t tied to a defined set of services. Innovation to address social determinants of health is therefore much more likely to succeed and thrive within a business model whose profit formula is rooted in the appropriate form of value-based payments. And yet the right profit formula, while essential, is insufficient to ensure providers’ success in discovering and addressing patients’ social determinants of health. Resources (like funding and expertise) and processes (like strategic planning and performance management) must be aligned to enable these activities as well. Otherwise, providers will always be fighting an uphill battle to achieve their objectives. 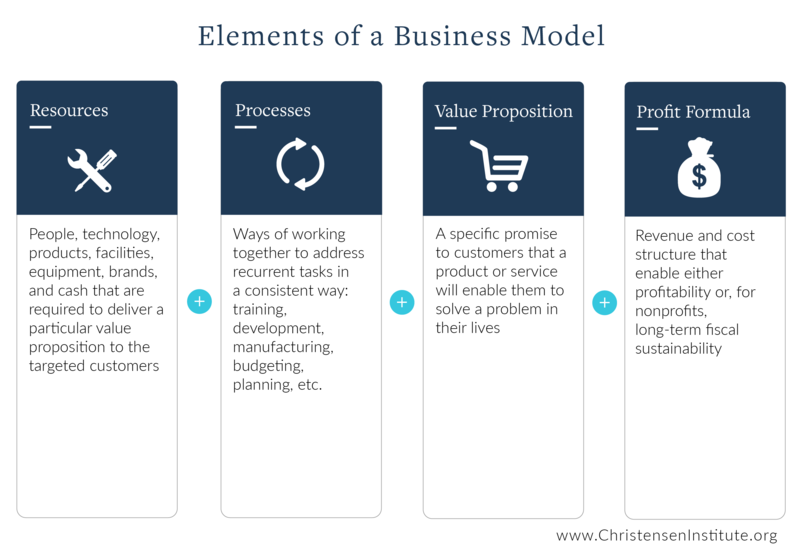 The bottom line is that innovation isn’t some isolated, protected process in an organization; it’s profoundly shaped by an organization’s business model. So providers aspiring to positively influence the social determinants of patients’ health would be well-served to consider the ways in which their business model might enable or constrain innovation toward that important end.